Notes: (f#DGBD tuning!) 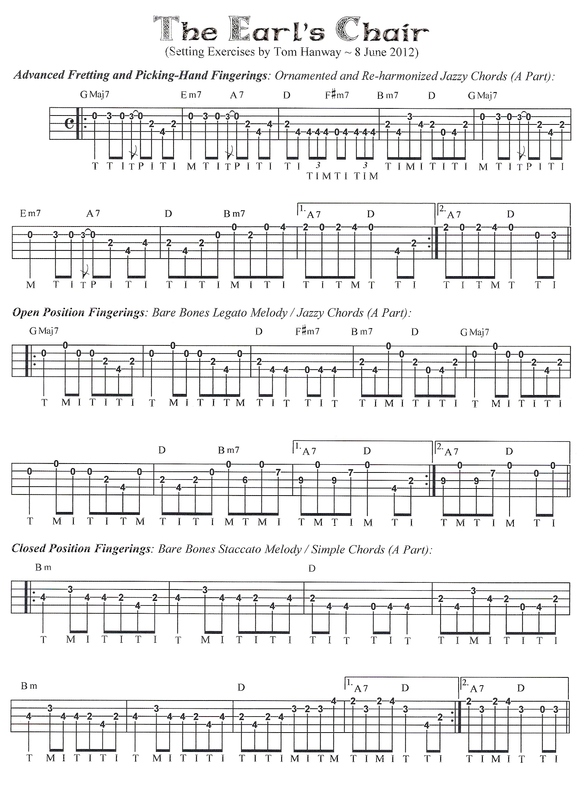 Same version of Schlange's, but in Guitar pro format (Mac friendlier), two options for pdf (with or without standard notation for printing options), and removed 24 measures (116 instead of 140) by using repeat signs and alternate ending notation. Less ink, paper, and page turning are always good in my book. Measures 86-89,110-111 add 5 to the fifth string unless it's zero (because it was originally in Tabledit format, tux guitar imported it that way to Guitar Pro and I'm unable to change it),Refer to the aforementioned sources for the MIDI, as it is the same. Notes: This is a note for note transcription of how Earl Scruggs played this tune on the "Foggy Mountain Banjo" album. All lead breaks and backup are included. The tab is written such that you can follow along with the recording. Chords are notional, i.e. 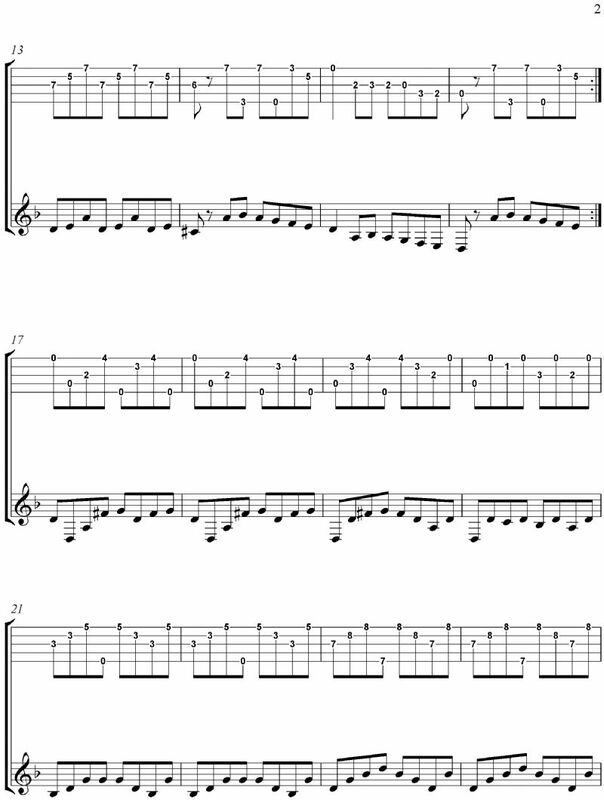 not necessarily exactly what the banjo is playing at any given moment, but what I think the basic chords are for the general tune, for each bar. Adjust settings so that chords are displayed as letter names only, tab is displayed at 4 bars per line, and view is scaled to 16th notes. 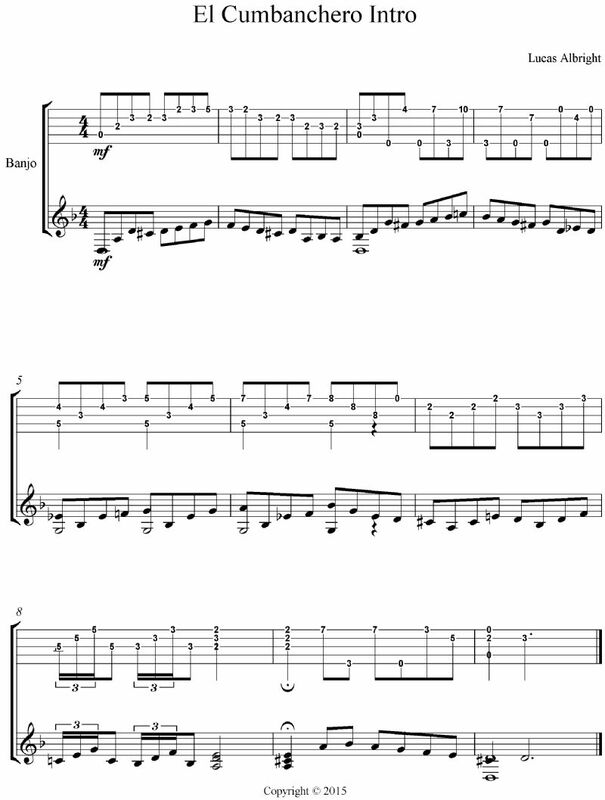 The first few blank measures are there to maintain the chord & bar patterns (4 bars per phrase) such that each phrase starts at the beginning of a line. Notes: This is a note for note transcription of how Earl Scruggs played this tune on the "Foggy Mountain Banjo" album. All lead breaks and backup are included. The tab is written such that you can follow along with the recording. Adjust settings so that chords are displayed as letter names only, tab is displayed at 4 bars per line, and view is scaled to 16th notes. 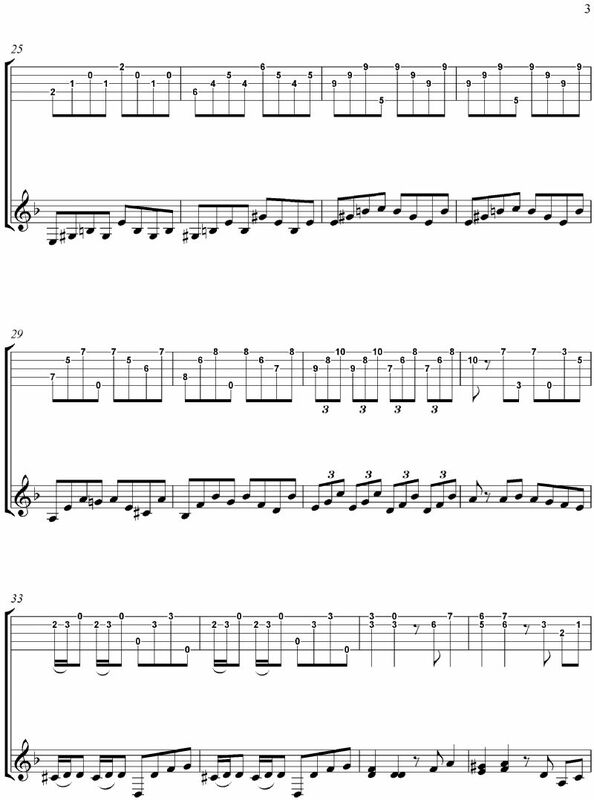 The first few blank measures are there to maintain the chord & bar patterns (4 bars per phrase) such that each phrase starts at the beginning of a line. Notes: This is a note for note transcription of how Earl Scruggs played this tune on the "Country Music" album, Mercury 20358, or The Bear Family's Flatt & Scruggs 1948-1959, disc 1. All lead breaks and backup are included. 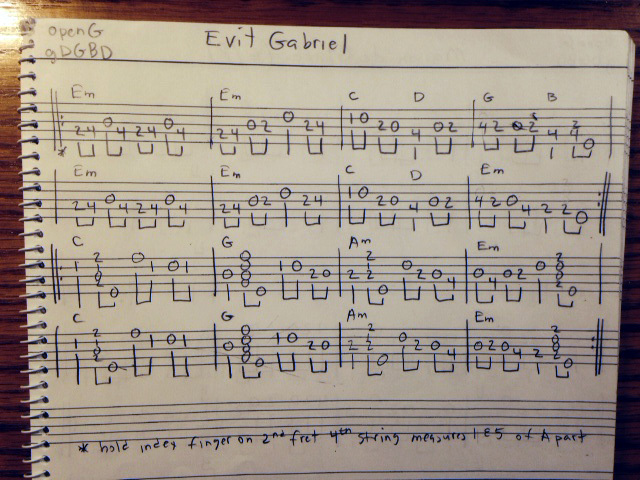 One item of interest is that, several times in this tune, Earl employs a pretty wicked lick that covers 3 chord positions (inversions of the same chord) to go from a I7 chord to a IV chord, and from a V7 chord to a I chord. You have to jump all over the neck to play it, and the distance your hand has to jump changes significantly, depending which transition you are playing, because the notes are much more closely spaced in the upper part of the neck, than in the lower part. It tends to foil muscle memory. The tab is written such that you can follow along with the recording. Adjust settings so that chords are displayed as letter names only, tab is displayed at 4 bars per line, and view is scaled to 16th notes. The blank 3 measures preceding each verse are skipped when the tab is played with the MIDI player, using the Reading List tool. They are only there to maintain the chord pattern such that each verse starts at the beginning of a line. Notes: This version contains 4 breaks. 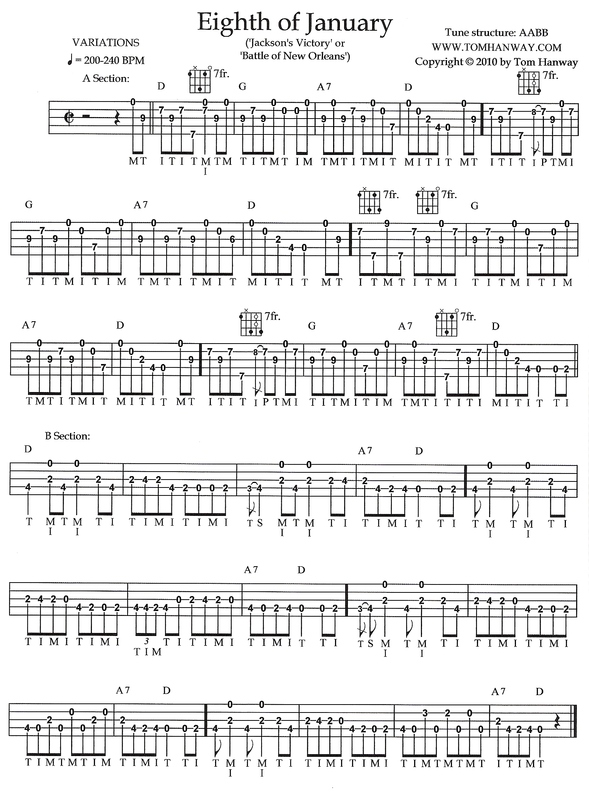 The first and third are similar to Earl Scruggs's low and high breaks, the second and fourth are my own. You will note that I wrote the tab as though you are playing without Keith tuners and hence must fake the tuner part; if you have Keith or Scruggs tuners, by all means use them. Note also that the chord structure of the first break is slightly different from the others: In the A part, measure 8 (which is measure 7 if you ignore the introductory measure), the I chord (G) is held and leads into the V chord (D) in the next measure. In all the other breaks, the equivalent of measure 7 is a II chord (A) that leads into the V chord (D). Yep, that's the way Earl wrote, recorded, and played it. Notes: Here's an arrangement similar to Tom Hanway's in his new book. Notes: These are A-Part Fretting and Picking-Hand exercises for the tune which appears (as a beginner version in its entirety) in my recent Mel Bay Book/CD compilation, Easy Irish & Celtic Session Tunes for 5-String Banjo: Best-Loved Jigs and Reels (MB21597BCD). 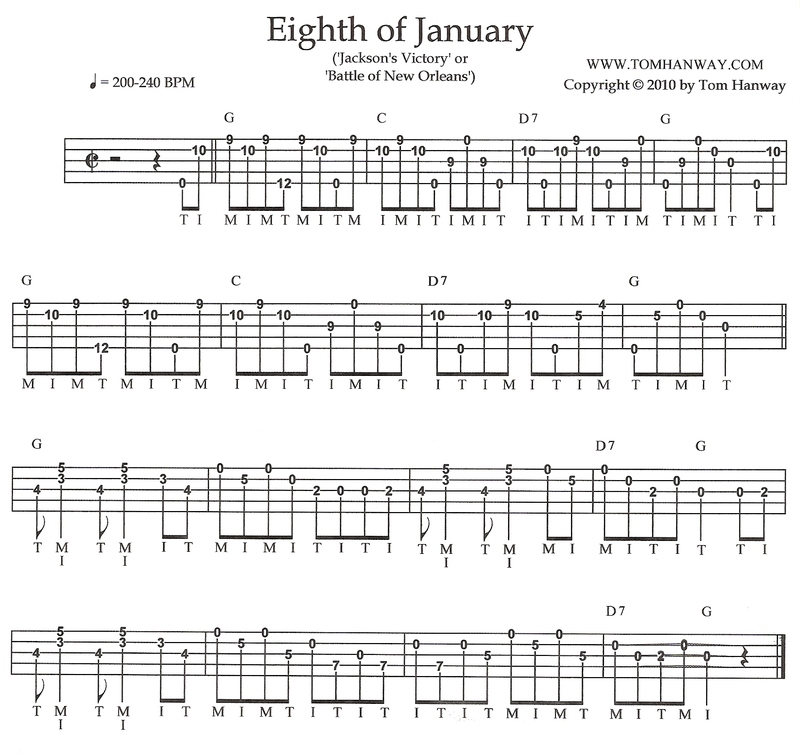 Notes: Here are two tunings for East Tennessee Blues. 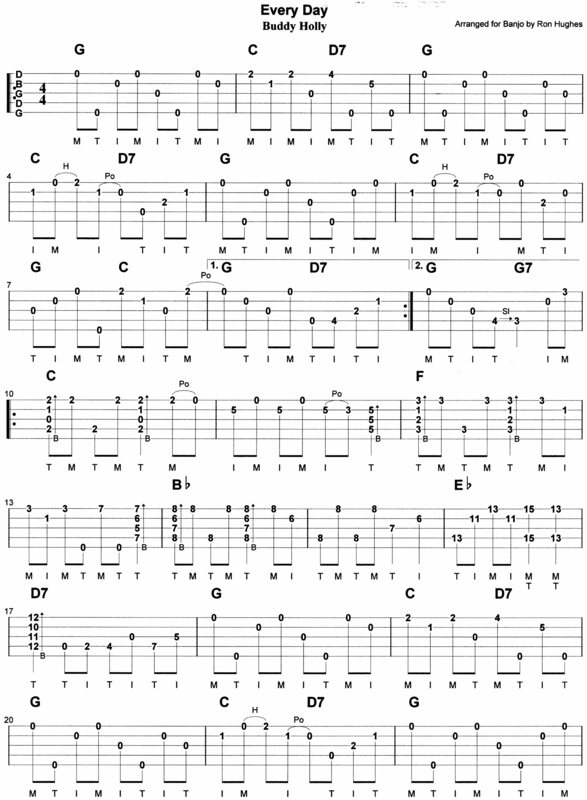 It was played in the key of C when recorded by Al Hopkins and the Hill Billies and the composing fiddler Charlie Bowman, so the first tab is in double C tuning. The other tuning is in open G.
Notes: Here's two Don Reno banjo breaks to an old Bill Harrell classic, "Eatin' Out Of Your Hand". It is very close, but not quite note for note Don's two breaks to the song. The first break is the melody, fairly simple but just perfect. The second one is quite mind blowing and is really crazy. If you learn these breaks you can learn a lot about the Reno style. The first break is more of an Intermediate, fairly straightforward, but the second one is pretty hard. Has a Rhythm Guitar & Bass rhythm track. Have fun! Notes: From an album by Beverley Smith and Carl Jones , a lovely tune written by Carl Jones that has gone viral in sessions around the UK. The B part is beautifully crooked. Enjoy. Notes: Thanks to Martin Blake for posting this great tune. This is my version. Same key, so may give you an alternative break to Martin's arrangement. Notes: Text window must be maximized for best viewing. Notes: A simplified version of Eight More Miles to Louisville. I like playing this in A, so either capo 2 from G or tune up like Grandpa Jones to A. However, I don't know if Grandpa Jones ever played this on a Banjo, all the versions I have are on a guitar. Dave Hum plays a mean version (Scruggs Style) in A. Both Youtube versions are linked on the 1st page with lyrics. I've added a page 2 for the Chorus and a midi link (Dave Hum version in A) in case the Youtube links disappear. 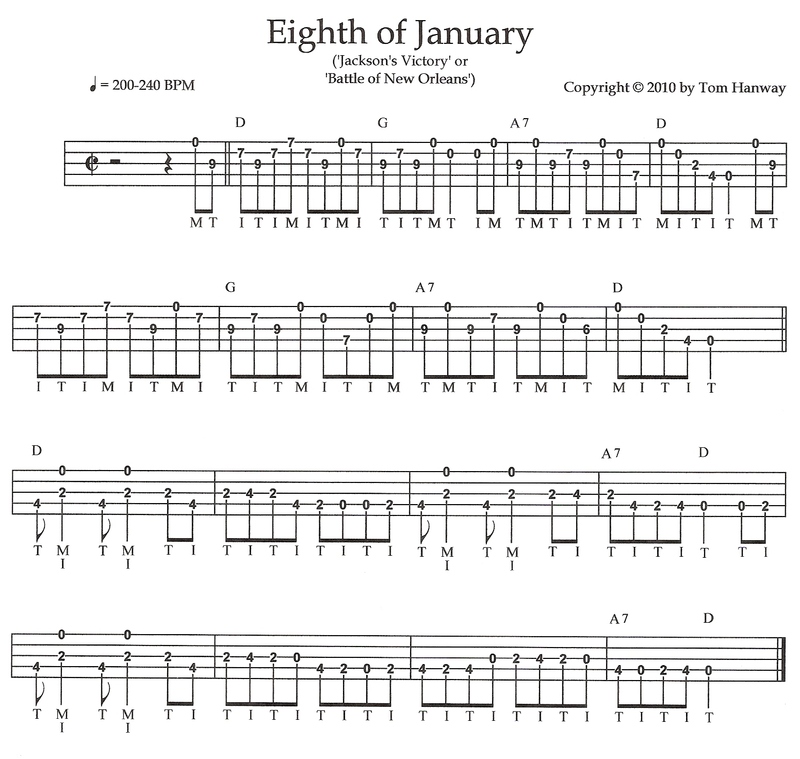 This is for the melody and back-up, there are other versions in Scruggs style available under the tabs menu. (I've put "to Louisville" in (paranthesis) because I live in Russellville, Arkansas and like to substitute "to Russellville" in my version when I play. Substitute your own 3 syllable town in your version, if you desire. Lou-is-ville, Russ-ell-ville, New-Or-leans, etc. Remember, Louisville is pronounced Louie-ville. Linked to Beginner Clawhammer Group. Notes: This is a tune that I give to beginners for practice on the square (thumb in and out) roll. I learned it from Grampa Jones, but have also heard it done by Jim Kweskin. Google the words. Notes: Thank you Grandpa Jones for making this tune so popular! Hee Haw rules!!! Notes: Here's Steve Martin's arrangement of this old classic. 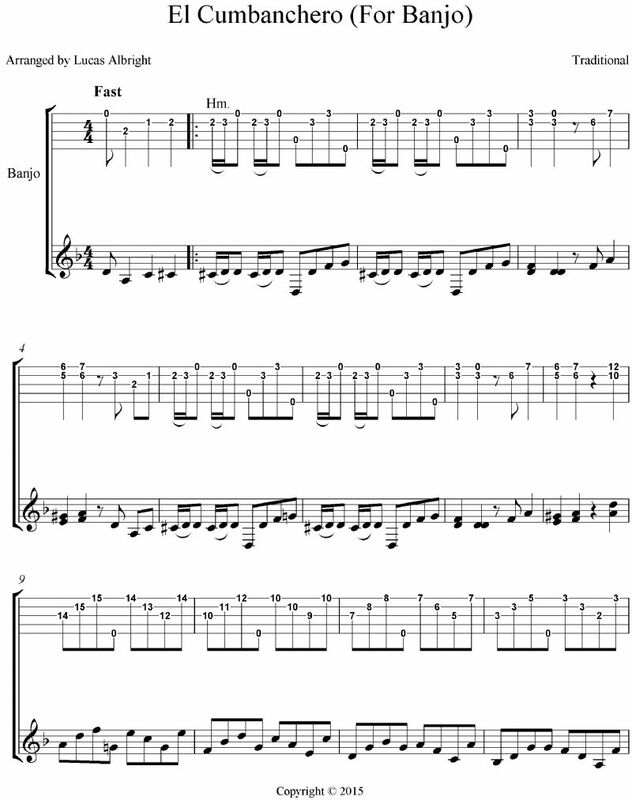 Notes: Originally known as 'Jackson's Victory' (while he was still popular) and later changed to the 'Eighth of January', we also know this favorite tune as the melody or "air" to the 'Battle of New Orleans'. Notice the Celtic-sounding drones and raggy syncopation I have put into the second part to give it more lift. I use a lot of staccoto-single-string work in the second part to capture the melody down the neck, but it could also be played an octave higher in a more legato-melodic style. Notes: This is a Scruggsy version of the tune; please also see my two other more melodic/single-string versions, one in D Major, another in G Major. 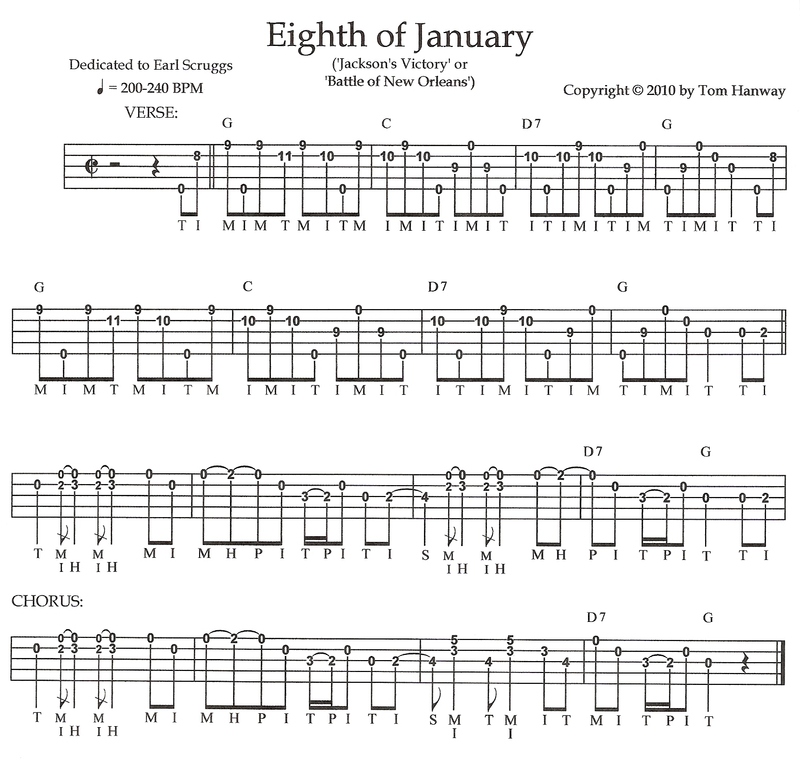 Notes: See my melodic version in D and my Scruggsier version in G. Originally known as 'Jackson's Victory' (while he was still popular) and later changed to the 'Eighth of January', we also know this favorite tune as the melody or "air" to the 'Battle of New Orleans'. Notice the Celtic-sounding drones and raggy syncopation I have put into the second part to give it more lift. I use a lot of staccoto-single-string work in the second part to capture the melody down the neck, but it could also be played an octave higher in a more legato-melodic style. Notes: For Paddy Kiernan, who proved to me about reaching top speed with accuracy using 21st-century picking-hand fingerings. I've also tabbed this here in D and G (both melodic/single-string), also a Scruggsy version (G), and now this one in Drop C tuning, dedicated to Bill Keith. Notes: Here I make (1) “melismatic variations” in the form of grace notes, using slides and pull-offs, (2) “intervallic variations” by moving away from the normal melody, substituting higher and lower notes, also developing a series of either ascending or descending note patterns, and (3) “rhythmic variations” in the form of syncopation, also by making two eighth notes a quarter note (as in the first full measure), or by making a quarter note two eighth notes (as in measures 6 and 10, on the third beat). The pinches, sometimes straight, sometimes syncopated, serve as examples of combined intervallic-rhythmic variation. I have doubled the parts, also breaking them up into units of four measures each, indicated by a heavy bar line, putting in variations that sound good to me after all these years playing the tune. Within the A and B sections, the order of parts can be moved around any way you want, but here I start with the simple before moving to the more complex. One can go back to playing the tune’s structure as AB, instead of doubling both sections. The tune structure here is actually A1, A2, A3, A4; B1, B2, B3, B4. These are not the only variations, obviously, but these are what I like to hear and play. It’s about playing the sounds that you want to hear, not about playing variations just to play them, or an abstract exercise. Notes: Some dbl thumbing but not hard in D. Have fun.....Lynn W.
Notes: this is my take on this song please leave me a comment enjoy!!!! Notes: My original arrangement of El Cumbanchero. Enjoy! 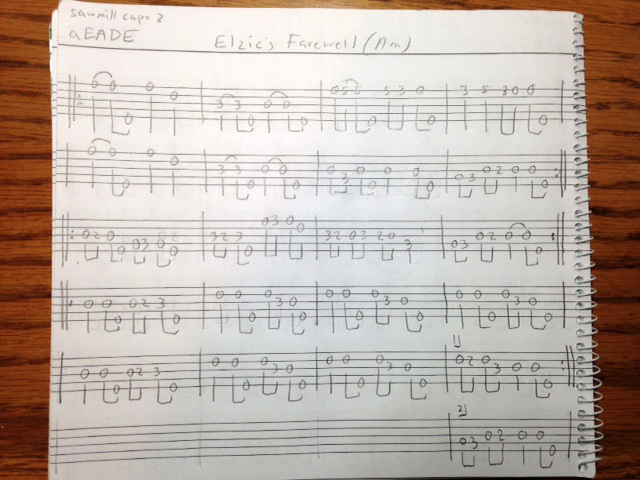 Notes: This is a pretty nice original intro for my arrangement of El Cumbanchero. Enjoy! Notes: This is my arrangement for a traditional catalan song. Have fun! Notes: A traditional Irish tune by Turlough O'Carolan. Notes: This is a really easy Em tune written by me. Notes: Eli Green's Cake Walk, written by Sadie Koninsky. 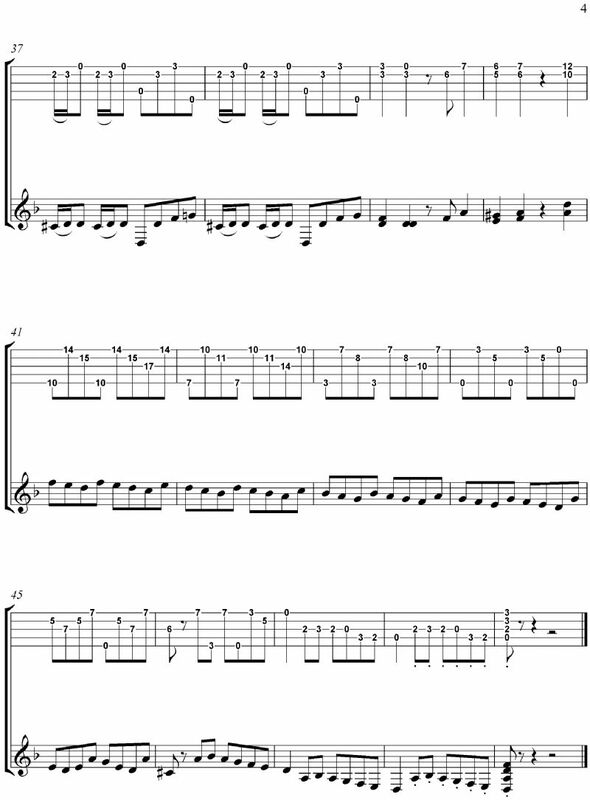 TAB taken from original 19-teens banjo arrangement by the English player/composer, Joe Morley. Notes: Here are four endings that are basically interchangeable. You can also mix and match parts from each ending for other variations. Every picker needs to know and play these well. Notes: English 'pub' session tune. Notes: Based on Scott Joplin's original piano score. Enjoy. Notes: Great Sammy Shelor tune! Notes: (Version 2019.01.11f). I transcribed this using a combination of the studio recording and various live performances of Tony, particularly https://youtu.be/XrHAxCAfzi8. Thanks to Rich Stillman for his feedback! 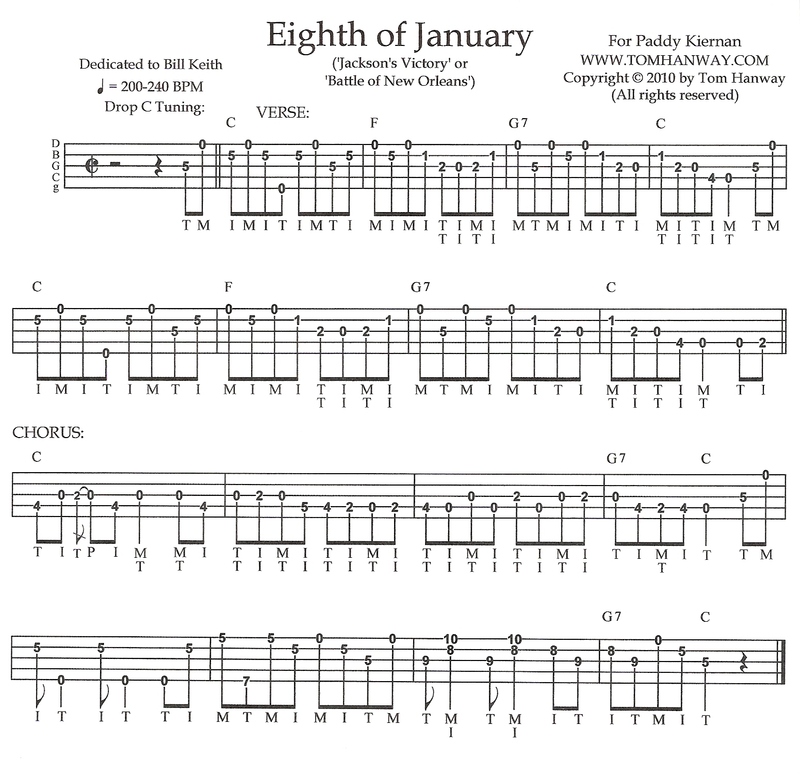 Notes: Minstrel Banjo; Tuning: dGDGA practicing hammer-ons and pull-offs on fretless fingerboard. Good exercise with frets as well. Notes: Here's page two for this great Buddy Holly tune. Notes: Quebecois tune by Daniel Thonon. The sheet music is in Portland Collection volume 1.